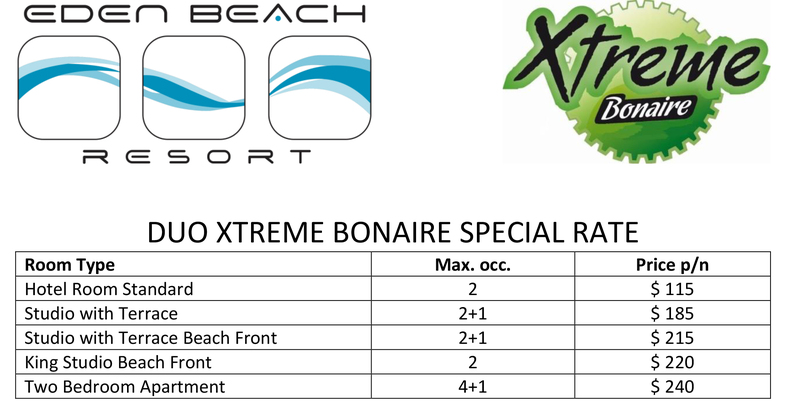 Please contact us at info@bonairextreme.com to receive the BOOKING CODE which is required to receive the special rate. Reservations possible until 7 days prior to arrival. Early Book Discount of 10%, only available until August 31st 2018. Participants with an ID from Aruba, Bonaire or Curacao will not be charged the required $5.45 per night Tourist Tax. Copyright (c) 2018 Xtreme Bonaire.